Since 1935, Big Blue Bug Solutions has been the number one name in pest control services in Grafton, MA and surrounding areas. Known for our superior service, friendly staff, advanced pest control technologies, and of course our famous mascot, Nibbles Woodaway , we are equipped to tackle whatever bothersome insect or rodent in Grafton is creating a problem in your home or business. If you are a home or business owner in southern New England, you can count on us to have a solution to your problems. From bed bugs to bats, mice to millipedes, and everything in between, Big Blue Bug Solutions is here for you. Don’t let insects or rodents make your home their own, contact the Grafton pest control pros of Big Blue Bug Solutions today! One of the most important things for any business is your hard earned reputation. Unfortunately pests can really harm your company’s image and result in the loss of business. Even the most loyal customers could be driven away by the sighting of a cockroach or fly. To help protect businesses in Grafton from the threat of pests, Big Blue Bug Solutions follows an effective and proactive approach to pest control with an Integrated Pest Management protocol. Our commercial pest control in Grafton is customized specifically to your business’ needs to prevent pests before they threaten your image and reputation. Don't hesitate; protect your business from pests today by contacting Big Blue Bug Solutions for more information on our thorough MA pest control for businesses. An ever-increasing problem in America right now, is cases of bed bug infestations. Although these tiny pests aren't necessarily dangerous to humans (meaning they do not transmit disease), they do feed on human blood, leave irritated bites on the skin, and blood stained sheets. Bed bugs can quickly spread throughout a home or business, usually undetected. An interesting, and alarming fact about bed bugs is that over the years they have actually developed some resistance to many commonly used pesticides. Combined with the fact that they are dormant during the day and hide in even the tiniest spaces, makes bed bug control in Grafton a difficult task. Luckily we have the technology and ability to remove even the most severe bed bug infestations in both homes and businesses. To learn more about bed bug services in Grafton, please contact Big Blue Bug Solutions today. At Big Blue Bug Solutions we are trained and experienced in both the detection, removal, and deterrence of future infestations of carpenter ants. We can create a customized program to get rid of carpenter ants in Grafton, MA and prevent them from coming back. 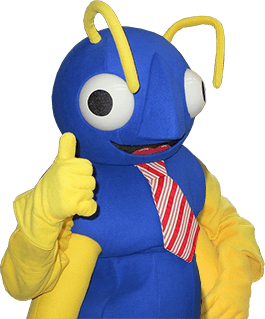 To learn more about any of Big Blue Bugs home or business pest control services, simply contact our pest control team today!